My name is Kathrin Figl. 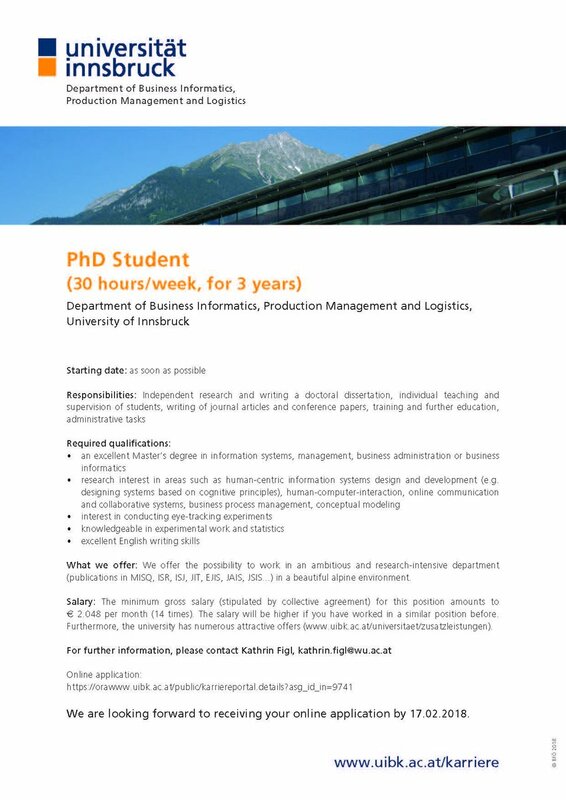 I am a Full Professor for Information Systems at the Department of Information Systems, Production and Logistics Management at the University of Innsbruck. I hold a venia legendi (habilitation) for Information Systems (“Wirtschaftsinformatik”) from the WU – Vienna University of Economics and Business, where I have worked as an Assistant Professor at the Institute for Information Systems and New Media. Warum verstehen Menschen Prozesse besser, wenn diese als Modelle (statt in Textform) vorliegen und welche Auswirkungen hat das auf die Ideenfindung? 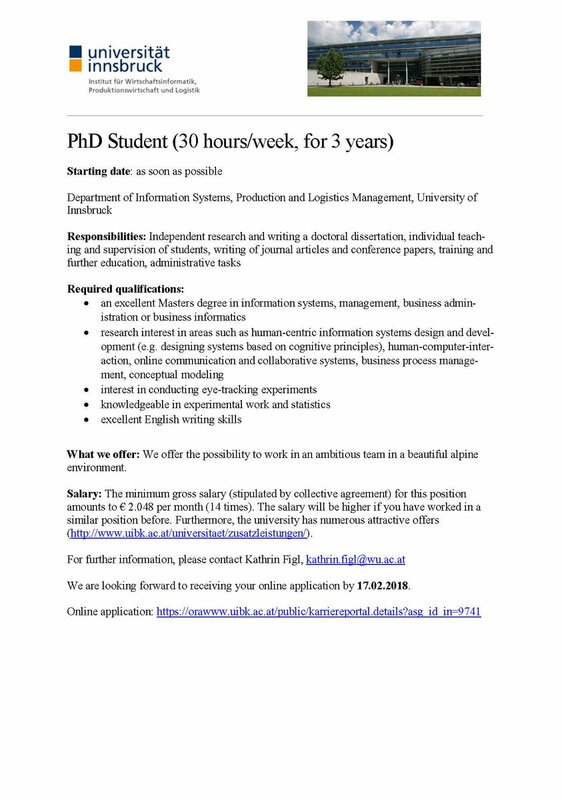 Previously, I have worked at the University of Vienna in the Business Information Systems department as well as in the department of Research Methodology and Differential Psychology. I was also a visiting research fellow with the Business Process Management group at the Queensland University of Technology, Brisbane, Australia. I received my doctoral degree (Information Systems in 2008, with honors, awarded with the Dr. Maria Schaumayer Prize) and two master’s degrees (Information Systems in 2004 and Psychology in 2006, both with honors) from the University of Vienna. 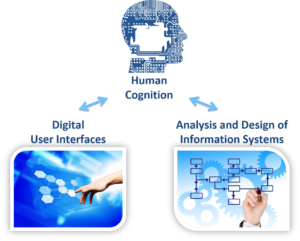 My main research areas are human-centered development and design of information systems. While earning my doctorate, I focused on e-learning, CSCW, media choice and teamwork in the information systems field. For my habilitation I started a second research stream in the areas of business process management and visual languages as a cognitive tool. I am especially interested in human interaction with conceptual models (e.g., (business) process and decision models), which are central to the analysis and design of information systems. My research agenda for the coming years will focus on cognitive effective design of digital user interfaces (e.g. digital nudging by user interface design, cognitive heuristics…). A strong believer in empirical research, I conduct relevant and rigorous controlled experiments and questionnaire-based studies to test theory-based hypotheses and to contribute to theory development in the information systems field. My work has been published in journals such as the Journal of the Association for Information Systems, Decision Support Systems, Information & Management, Business & Information Systems Engineering, Requirements Engineering, the AIS Transactions on Human-Computer Interaction and the International Journal of Human-Computer Studies and in leading conference proceedings (e.g., International Conference on Information Systems (ICIS), European Conference of Information Systems (ECIS), Internationale Tagung Wirtschaftsinformatik (WI), Conference on Advanced Information Systems Engineering (CAISE), International Conference on Conceptual Modeling (ER)). Three of my papers won Best Paper Awards at international conferences (the ACM Software Product Line Conference, the International Conference on e-Learning, and the World Conference on Educational Media & Technology) and I was awarded the ‘Excellent Teaching Award’ from the Vienna University of Economics and Business for my course on information systems. 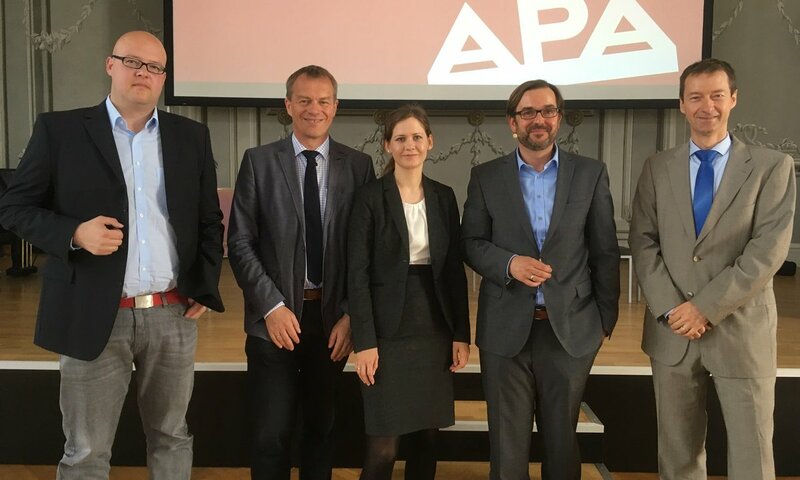 In 2019, I served as chair for the track “Cognition and Human Behavior in Information Systems” at ECIS (European Conference on Information Systems) and in 2018 as chair for the track “Human-centric Information Systems Design and Development” at MKWI (Multikonferenz Wirtschaftsinformatik). I serve on the editorial board of the Journal of Information Systems Education, as an associate editor for the Wirtschaftsinformatik conference and ICIS and I am a reviewer for several journals, including European Journal of Information System, Business & Information Systems Engineering, Information & Management, Journal of the Association for Information Systems, Decisions Support Systems, Information Systems, Electronic Markets and Communications of the Association for Information Systems. In 2019 I was distinguished as one of the best reviewers of the Springer journal Software & Systems Modeling. Regarding project funding, I was awarded the Dr.-Maria-Schaumayer Research Grant 2014/2015 by the Austrian Nationalbank (OeNB) for my project on ‘Cognitive Effectiveness in Business Process Modeling’ (in the amount of €55.000) and I have attracted funding for my research projects “Investigating Flow Direction of Business Process Models with Eye Tracking” and “Creative Business Process-Redesign” and a Visiting Fellow Scholarship from WU Vienna (in the amount of €11.600).